C. W. Fletcher, 1937 White porcelain handles (The same as Syrie Maugham Model), with B. Altman & Co. fitted wood box. 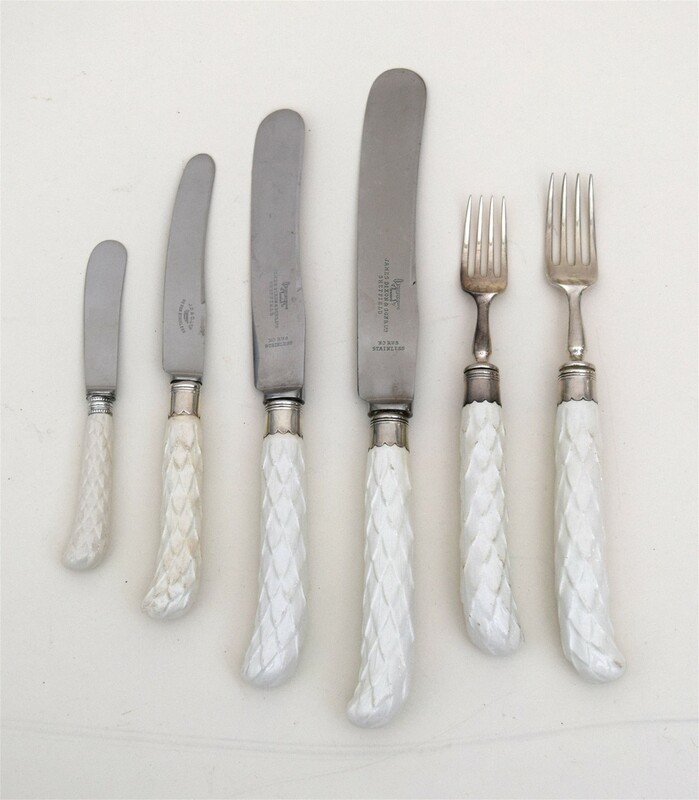 Comprising: 12 SS Dinner Forks (8.5"); 24 Dinner Knives (11"); 18 SS Luncheon Forks (7.5") ; 22 Luncheon Knives (9.5"); 9 Fruit Knives (7.5"); 18 Butter Knives (5.5"); 12 Misc. Small Forks (5.5"). 115 pieces in total.